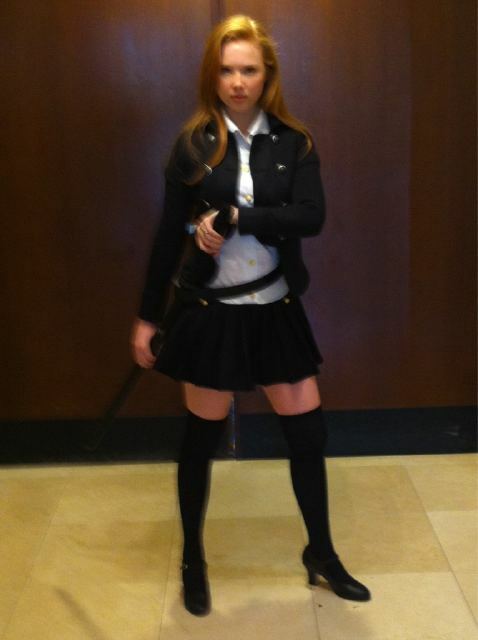 As Shana for Comic Con. "Ready to get my Comic Con on as Shana." Costume from Anime. Name Shana restorer of balance. Red eyes 2.. Wallpaper and background images in the molly quinn club tagged: molly molly quinn quinn photo twitter comic con. This molly quinn photo contains hip boot and thigh boot. There might also be meias, mangueira, mangueiras, meia, outerwear, overclothes, vestuário exterior, and roupas normais.